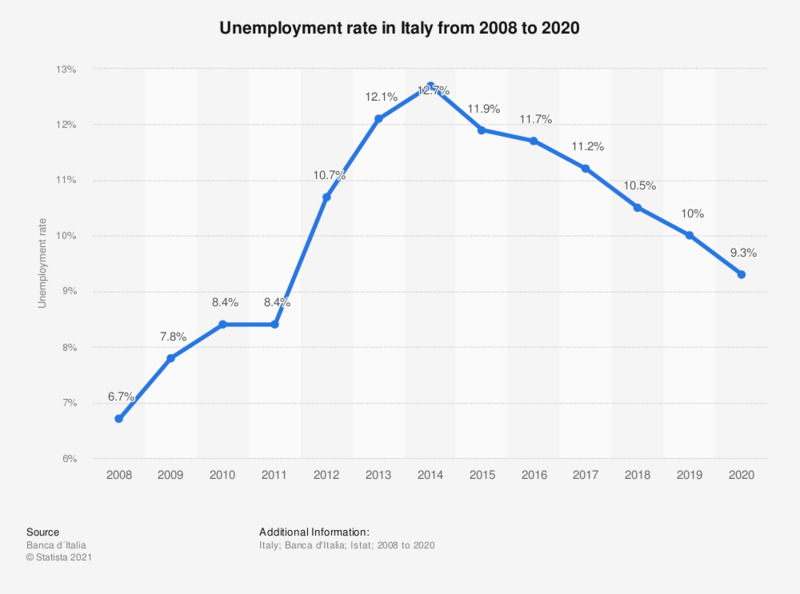 This statistic shows the development of the unemployment rate in Italy from 2008 to 2017. In 2014, the unemployment rate in Italy peaked at 12.7 percent, an increase compared to the previous year at 10.7 percent. As of 2017, the unemployment rate reached 11.2 percent.